From the mythic Psiloritis to the sublime beaches of the southern coast, this region is everything you imagined about Crete. 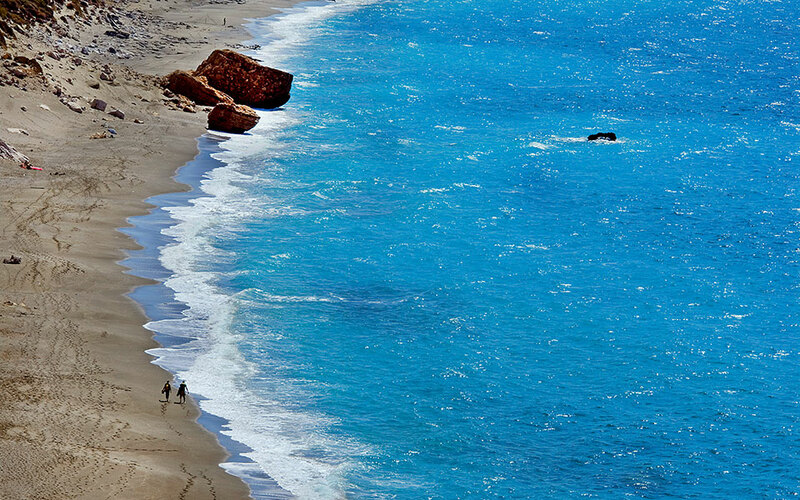 THE BEACHES OF THE NORTHERN COAST: Rethymno Beach is the longest beach on the island, with a length of more than 12km. It extends to the east of the city and all the way to the village of Skaleta. On the Adelianos Kampos stretch you can enjoy water sports, while at Pigianos Kampos there are some peaceful rocky coves. At Bali, east of Rethymno Town, there is a series of small bays that are ideal for swimming. At Panormos you’ll find two small sandy beaches with shallow waters, while Geropotamos, at the estuary of the river of the same name, has pebbles, fine sand and deep waters. Small and pebbled, Tou Maliou to Ryaki Beach is shaded by steep, towering rocks. At Gerani, to the west, you’ll lie on fine shingle. Further west, you can swim at Episkopi, which has white sand, lush vegetation and waters that get deep very close to the shore. 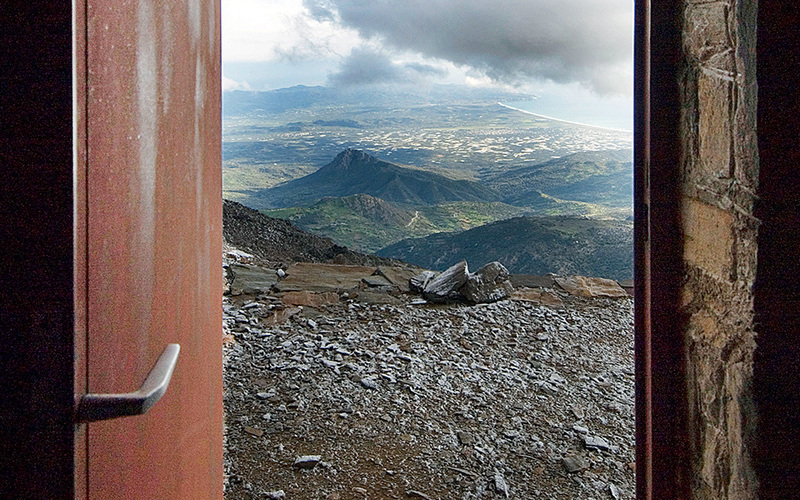 MIGHTY TOWER: Just 10km outside Rethymno, Maroulas is one of the most unusual villages in Crete. About 450 years old, it features houses dating back to the times of Venetian and Ottoman rule, old olive presses, churches and narrow lanes. Two stone towers loom over this architectural ensemble, one of which is 44m tall. Note the embrasures, murder-holes, stone guard posts and rose windows. VENETIAN MANSION: If you’re curious as to what the interior of a Venetian mansion is like, make sure to visit the village of Chromonastiri and stop by Villa Clodio, one of the most beautiful historic residences in Rethymno’s countryside. It was built in the 16th-17th century, and it appears to have served as the summer residence of the aristocratic Clodio family. Today it houses the village’s Military Museum. Besides the exhibits, however, you’ll also be able to wander around the spacious rooms and admire the view from each floor as well as the stone fireplaces in the bedrooms. In the stunning inner courtyard, keep an eye out for the family’s coat of arms, the cisterns, the wells and the hammam – the Turkish baths; the last is a remnant of the time when a pasha used to reside here during the period of Ottoman rule (Tel. (+30) 28310.751.35). 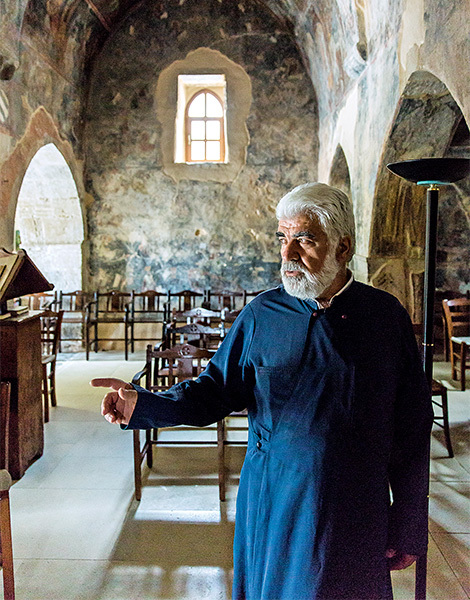 HOPE AND SACRIFICE: The best-known monastery on the island is an iconic monument, inextricably linked to the Cretan struggle for liberation. Here, during the Cretan Uprising (1866-1869), the defenders of the monastery blew up the gunpowder store and themselves in order to not surrender to the Ottomans, which is why the Cretans say that their liberation began at Arkadi. The building complex is a true work of art, with an impressive narthex and several elements that show a Renaissance influence. At the old altar, you’ll see intricate icons from the 16th and 17th centuries – one in particular, Panaghia Elpis ton Apelpismenon (“Mother of God, Hope of Those in Despair”), is superb (Tel. (+30) 28310.831.35). 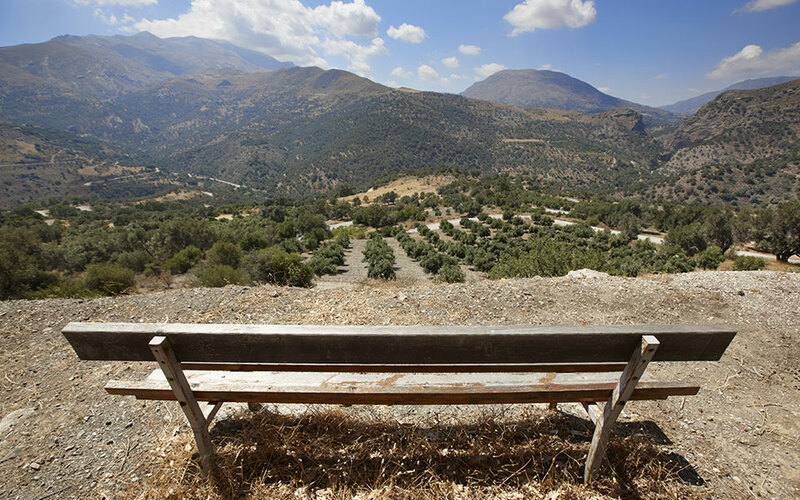 TIMELESS ELEUTHERNA: In the countryside southeast of Rethymno (25km), ancient Eleutherna holds clues that reveal elements of truth behind Homer’s epic poetry. Here, one can enjoy a well-organized and informative archaeological park, as well as Eleutherna’s new (2016), state-of-the-art museum. 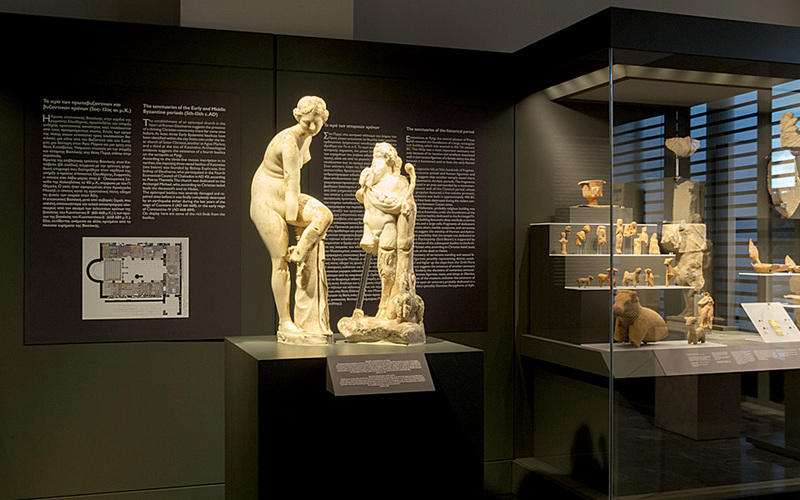 Distinctive architectural remains and artifacts confirm the Iliad’s descriptions of funeral rites, the pyre of Patroclus, and Achilles’ ornate shield as accurate reflections of life, death and art in pre-Classical Greece. Flourishing mostly during the Geometric-through-Archaic (9th-6th centuries BC) and Hellenistic (323-68 BC) eras, Eleutherna continued to be inhabited during the Roman, Byzantine and Venetian eras, up until modern times. The site’s main stops can be approached by car, including the Orthi Petra necropolis, areas containing public buildings and private houses, a 2,200-year-old stone bridge and a traditional water mill. Additional sights – temples, tombs, fountains, reservoirs, quarries, several Byzantine chapels and a defensive tower – are reached by footpaths and the E4 European hiking trail. THE VILLAGE OF THE CERAMISTS: Even though the village of Margarites was destroyed several times by the Venetians and the Ottomans, it remains one of the most beautiful old villages in the heartland around Rethymno; it boasts fine Byzantine and post-Byzantine chapels, such as the chapel of Aï Yiannis the Theologian dating back to 1383, and old Venetian houses with inner courtyards, stone drinking fountains, arched doorways with sculpted lintels and coats of arms. You’ll also see numerous large ceramic storage jars, called pitharia, as well as other ceramic objects, as Margarites is one of the two largest centers for pottery in Crete. 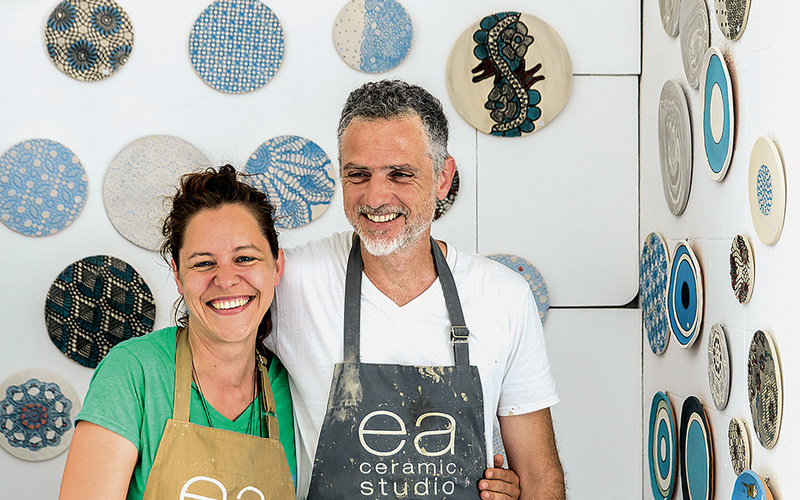 If you want to see the work of a traditional local potter up close, visit Keramion. A MOUNTAIN ROUTE: If you are in the mood for exploring, drive up the ragged slopes of Mt Kouloukonas, setting off from the village of Doxaro. You’ll pass through landscapes of imposing rocks and low vegetation, and after several bends, you’ll reach a plateau featuring the impressive Vosako Monastery, surrounded by jagged peaks. In addition to the narthex, which was built in the 19th century on top of an older one, you can see the old monks’ cells, intricate doorways, sculpted drinking fountains (one dating from 1673), as well as the old workshops for the extraction of honey, candle-making and the distillation of raki. ANOGEIA: This is one of the most famous villages in Crete, not for its architecture (the old settlement was torched by the Germans in 1944) but for its people. Having lived for many years according to the strict traditions of mountainous Crete, they have developed a particular mindset: they are welcoming hosts and rambunctious revelers, with a very strong commitment to friendship, but also very touchy when it comes to questions of honor. 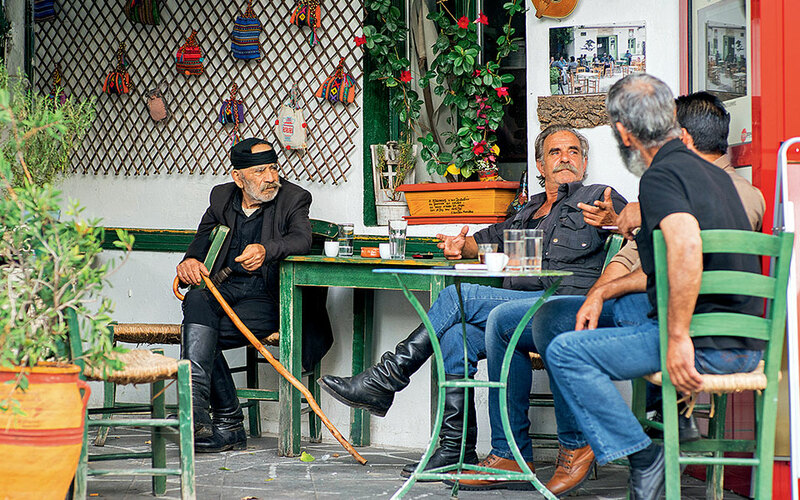 Sit down at a café and prick up your ears: this village is the home of some of the most important instrumentalists in Crete, and the chances that you may be treated to some very fine Cretan music are quite high. If you wish to wander about, visit the church of Aghios Ioannis in the Armi neighborhood – it is the oldest church in Anogeia, with wall paintings dating back to the 14th century. 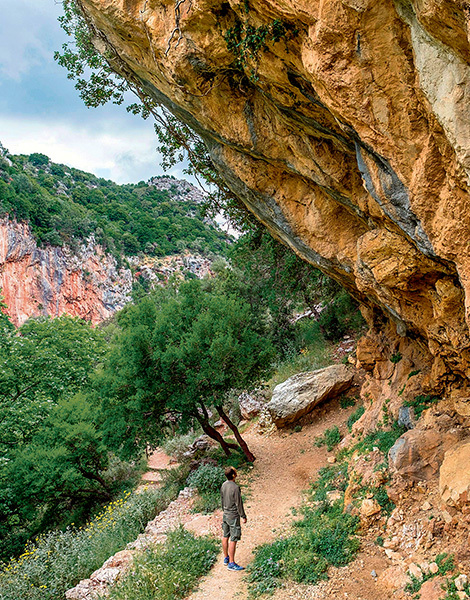 SHEPHERDS’ HUTS: The legendary mitata of Anogeia in Psiloreitis Natural Park, the shepherds’ stone huts built using slabs of slate, and reminiscent of domed Minoan and Mycenaean tombs, have been used during the summer months for centuries. Most of them lie within the wider region between Anogeia and the Nida Plateau. If you’re lucky enough to run into any shepherds, you’ll likely experience some unforgettable moments. (Contact the Anogeia Centre for Environmental Education, Tel. (+30) 28340.316.62). WHERE ZEUS WAS BORN: The Ideon Cave on Mt Psiloritis was one of the most important places of worship in Minoan Crete. During the Minoan period but also later, crowds of Cretans would ascend to the Nida Plateau (elevation 1,498m), where the cave is situated. Here, according to myth, Rhea gave birth to Zeus. The baby was fed with milk from the goat Amalthea, while at the same time the Kouretes, seven (or five) benevolent giants (or demons, according to some sources), would clang their bronze shields so that Kronos would not hear the wailings of little Zeus and swallow him whole, as he had done with his previous children. Evidence that the cave was used as a place of worship dates back to the latter half of the 2nd millennium BC; the highest attendance by pilgrims, however, appears to have been during the Geometric and the Archaic ages (10th-6th centuries BC). THE SFENDONI CAVE: One of the most beautiful and best developed caves in Crete, Sfendoni is close to the village of Zoniana. Shepherds had been using the first two chambers for centuries as a shelter for their animals, yet archaeological investigations have shown that there were even more ancient users of the cave, since shards of pottery dating back to the Early Minoan and the Late Minoan periods have been found, as well as a Roman coin from the 4th or 5th century AD. ROLLING SAND DUNES: A thrilling geological adventure lies in store if you ascend the path that starts at the westernmost tip of Aghios Pavlos Beach. Ten minutes later, enchanted by the beauty of the multicolored rocks, you’ll be awestruck at the sight of a landscape that looks as if it has been borrowed from Africa: imposing grey sand dunes, approximately 25m high, terminating in the stunning Alatsogremnos Beach. At sundown, the hills are dyed red and look as though they are dissolving into the sea. This is the ideal moment to be there – alternatively, come very early in the morning, when the sand is cool enough to walk on. Equally impressive are the sand dunes of Pachia Ammos Beach, which can be accessed from Aghia Foteini Beach at Kerames via a 20-minute walk along the coast. THE EXOTIC PREVELI: Imagine an ash-colored beach, a light-blue sea, an emerald lake, a river with a forest of palm trees on its banks. Place this scenery at the mouth of a gorge, and you have the postcard-worthy landscape of Preveli. The lake of the same name is formed by the waters of Megas Potamos (“Great River”), which runs through the last section of the Kourtaliotiko Gorge and flows out into the Libyan Sea. 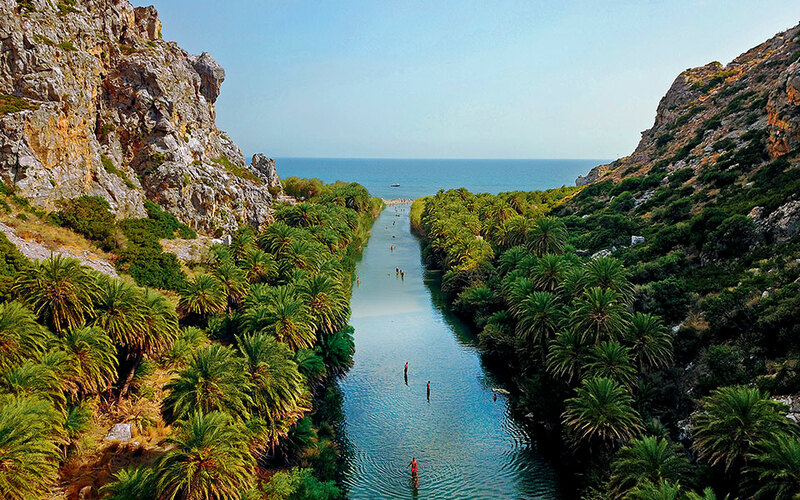 Come by way of the dirt road that starts at Drymiskiano Ammoudi Beach (7 mins walk) and explore the palm-tree forest with the rare Cretan date palm, either on foot or by pedal boat. One of the highlights is to jump into one of the natural pools formed by the river – the sound will resonate across the gorge. Before leaving, take a photo of the heart-shaped rock that rises from the sea. Preveli attracts hundreds of tourists each day, so come early in the morning or later in the afternoon, as the tourist boats are about to depart. At that time of the day, the gorge fills with swallows. A HISTORIC MONASTERY: The Holy Monastery of Preveli is renowned for the part it played in the struggles for liberation during Ottoman rule, and later during the German occupation. It includes two building complexes, the derelict Lower Monastery of Saint John the Baptist and the Rear Monastery of Saint John the Theologian, a 16th-c. monastery that admits visitors and is amphitheatrically built with a view over the Libyan Sea. This is where the museum of the monastery is housed, featuring a collection of a hundred 17th-c. icons and relics (Open June to October: Mon-Sun 09:00-13:30 & 15:30-19:00). ENDLESS BEACHES: The 55km-long coastline of southern Rethymno has more than 30 beaches, washed by the crystal-clear waters of the Libyan Sea. At the easternmost end is the popular Aghia Galini Beach, while on the region’s western boundary is Aghia Marina, with fine shingle, pebbles and small rocks that make for ideal fishing spots. 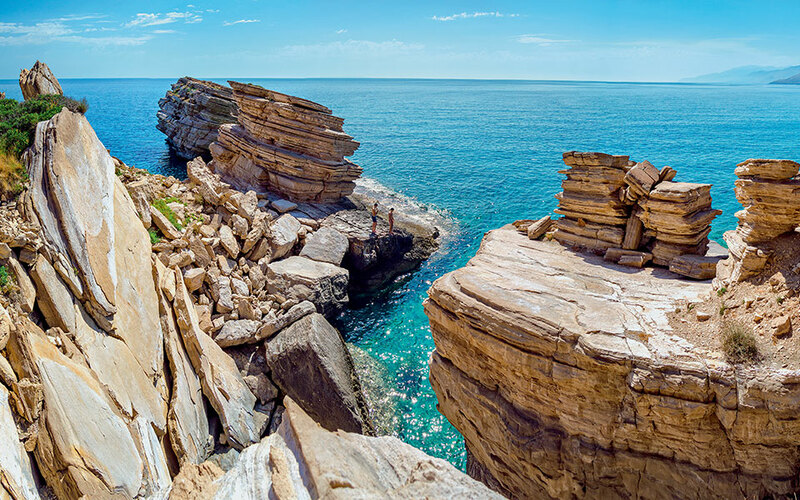 Starting from the east, one of the most beautiful beaches is Triopetra, with three large rocks at one end. It could easily accommodate thousands of bathers, but it usually only has about 100. There are beach loungers, but you’ll also find plenty of room to roll out a straw beach mat on the coarse, grainy sand. On the sandy Ligres Beach, you’ll come across a small waterfall at its westernmost end, and you’ll be able to enjoy it in peace even in August. Do not fail to stay until sundown to enjoy the sunset at the small taverna. Skinaria Beach, with its superb crystalline waters and craggy seabed, is a key attraction for snorkelers and scuba divers. You need to be an early bird to get a spot at the tiny, sandy Kleisidi Beach, which can barely hold three separate groups. If you have children, opt rather for the family-friendly Damnoni Beach, which has loungers and emerald, shallow waters. To swim in deep waters, head to Pirates’ Fjord, a narrow cove below the Kalypso Cretan Village Resort Spa. Grab a beach lounger on the smooth, flat rocks, go canoeing, and cross the suspension bridge connecting the two sides of the cove. 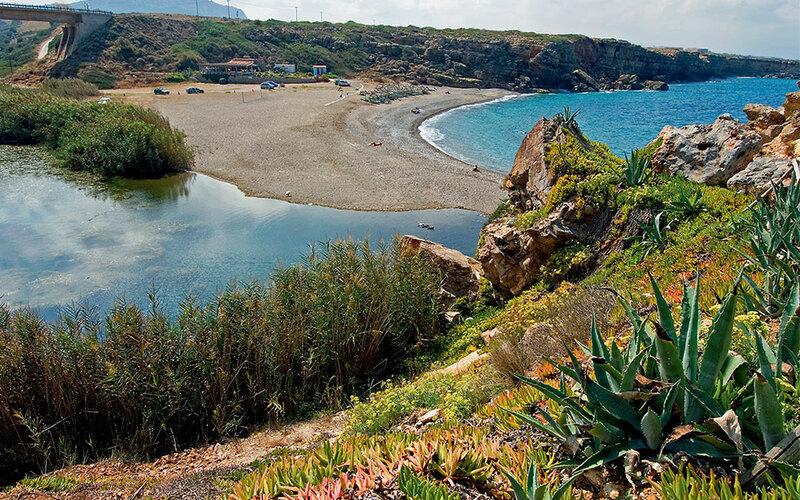 If you prefer some seclusion, seek out a place under the shade of a carob tree at stunning Peristeres Beach. THE LAND OF MYTHS: Take a boat from Aghia Galini for a trip south to the rugged islets of Paximadia – the Greek word for rusks. As you swim in the blue waters of the five pebbled beaches, have in mind that according to one version of the myth, this is where Apollo and Artemis were born. 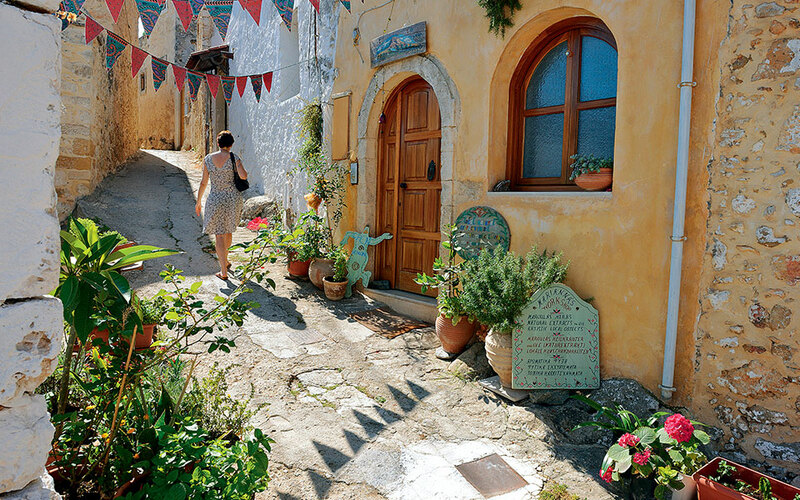 A BREAK FROM THE SEA: As you arrive at the picturesque village of Spili, you’ll be refreshed by the cool waters of Mt Ida’s springs, which flow from the mouths of 25 sculpted lion heads. Take a stroll through the stone-paved streets and visit the restored 19th-c. grand mansion which houses the Folk Museum. You’ll see a replicas of the rooms of a traditional Cretan house, such as the bridal bedchamber adorned with lacework, but also workspaces such as the stivanadiko, a traditional bootmaker’s workshop (Open 10:00-18:00). SADDLE UP: Even if you have no horse-riding experience, you can traverse olive groves, beaches and small rivers on horseback in the Plakias region (Plakias Horse-riding Center, Tel. (+30) 28320.311.96, (+30) 694.201.1620). A PUZZLE OF URBAN CONSTRUCTION: Argyroupoli, built on the site of the ancient city of Lappa (which, according to myth, was founded by Agamemnon), is, if nothing else, unique. You’ll see remains of Roman mosaics, old churches and beautiful houses with Venetian and Ottoman architectural elements, as well as an abundance of ancient materials (spolia) incorporated in its walls, such as burial caskets, columns, capitals and marble fragments. Refresh yourself at its famous natural springs and, next to them, visit the Roman-era tomb and its five chambers inside the cave of Aghia Dynami. The local villagers, who believe that this was the tomb of the Five Virgin Martyrs, built the small chapel nearby in their honor. ENCHANTING AMARI: The great verdant valley between the mountains of Psiloritis and Kedros is one of the most enchanting secrets of the prefecture. Here, you’ll find some of the most beautiful villages in all of Crete: Monastiraki, Thronos, Klisidi, Gerakari, Nithavri, Vistagi, Vizari and Amari, all of them hidden in a veritable sea of olive, plane, cherry, fig and apricot trees, and surrounded by innumerable rivulets and streams, where most of Crete’s stone bridges are to be found. All of the villages have Venetian and Ottoman houses with superb doorways, and old Byzantine churches with outstanding wall paintings. The ancient city at Sivritos, the Minoan settlement at Apodoulou and the Minoan palace at Monastiraki bear witness to the fact that people came to cherish this paradisaical valley from very early on. FOCUS ON AMARI: Amari’s must-see is the stunning village of Meronas, site of the Church of Panaghia (“Holy Mother of God”), dating from the 1300s. Still in use, it was the first building in the village, around which the settlement developed over the years; according to local lore this is where the Virgin “found peace” (merose in Greek). Take the time to contemplate the murals, the work of some of the most important artists of Constantinople who were brought here by the Byzantine Kallergis family, who financed the building of the church. The portable icon of Panaghia Hodegetria (“Our Lady of the Way”) is a work of the Cretan School, from the beginning of the 14th century. In contrast, the small Venetian monastery of Aghii Asomati, at the heart of the Amari valley, lies derelict. You’ll come here for the tranquility and the stunning vegetation, which includes olive, mulberry and massive plane trees, vineyards and more. This was the base of the Hortatzis family during the rebellion of 1273 against the Venetians, while since 1927 it has been used as an agricultural school. PARDI FOREST: Towering holm oaks and maples that grow to a height of 15m, with tree trunks as wide as 1m: this used to be the natural landscape all over Mt Psiloritis up until many centuries ago. Today, you can take pleasure in this miracle of Cretan nature in Pardi forest, which you can easily access from the village of Kouroutes. From the picturesque chapel of Aghios Titos located in the forest (note that a festival is held here on August 24), the view over the shores of the Libyan Sea is staggering. It is worth continuing for a further 5km in order to reach the Toumbotos Prinos mountain refuge (1,500m) at the heart of this legendary mountain and which is part of the wider network of the Rethymno Mountaineering Club (Tel. (+30) 28310.577.66).